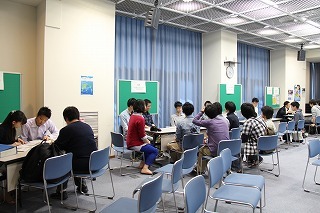 Mie University | Introductory Meetng for Study Abroad & Career Development Program was held! Introductory Meetng for Study Abroad & Career Development Program was held! On May 21, 2014, Introductory Meetng for Study Abroad & Career Development Program was held at the Media Hall, University Research Hall II. Following the greeting and kind message from Prof. Hori, Executive Vice President for International Affairs, many different programs were introduced. In the Part I, information for students who wishes to study abroad, especially at our partnar universities from the International Student Office. 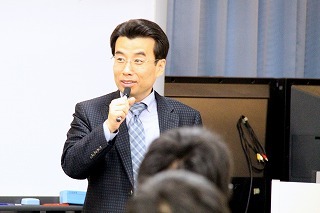 Then, Prof. Ehara, Vice President for Internationational Affairs introduced programs such as International Internship Program and Field Study Program. In addition, Prof. Ki-Hwan Park, Sejong University, Republic of Korea, and Director for Mie University Korea Center for Education and Research, talked about our exchange activities introducing the University on screen. 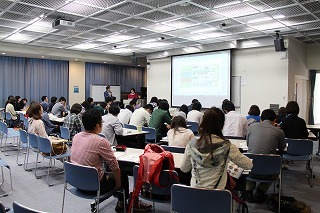 In the Part II, JICA Volunteer Seminar was held. Ms. Kana Murata shared her experience in Mongoria as a senior volunteer and also introduced the program. In the Part III, students had an opportunity to get detailed information from the seniors who experienced the programs separately. The meeting was fulled with around 50 students who are interested in international programs.